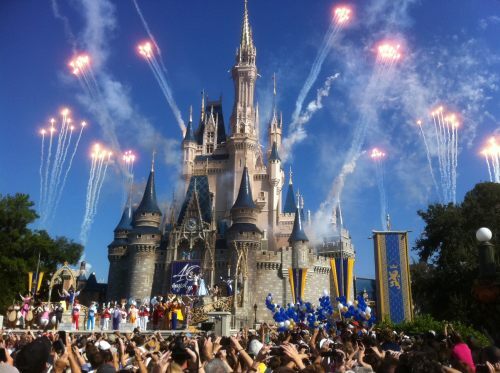 Delta is showing flights from Vancouver to Orlando, Florida for $329 CAD roundtrip including taxes. 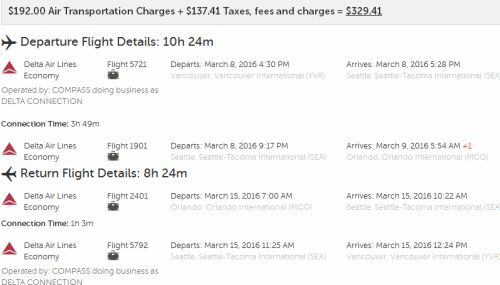 Update: United Airlines has responded with flights for $288 CAD roundtrip including taxes! See below for details. Update 2: And now it's Delta's turn to throw another punch! They've dropped their fares down to $272 CAD roundtrip including taxes. Follow the instructions below, using ITravel2000. 2. Click on 'Edit your search' (top right corner) when you get there, so you can try different dates. 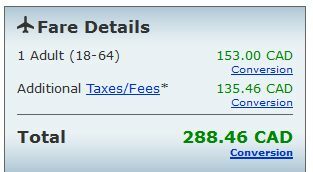 Update: United has responded with flights for $288 CAD roundtrip including taxes! Click the departure date box to open calendar view and try other dates. The cheap United Airlines flights are showing on a variety of date combinations in March and April 2016. The map below will show you some great deals on AirBNB accommodations in an ideal location in Orlando for under $99 CAD/night for 2 people. You could also try VRBO, which is a popular site for renting a vacation property in Orlando. vancouver, yvr, flight deals, florida, delta, orlando, mco, united states, united airlines and north america. 2 Responses to "Vancouver to Orlando, Florida - $288 CAD roundtrip including taxes"